We are collecting items for our local Veterans this week. Please feel free to drop off any items at Marshall’s Auto Body Experts, 128 Pond St., Billerica OR Marshall’s Auto Sales, 279 Boston Road, Billerica. 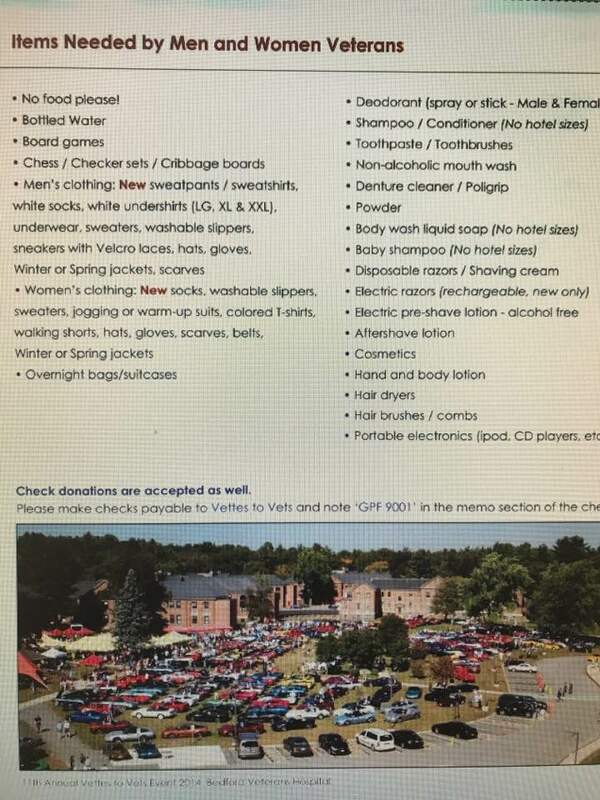 Below is a list of suggested items that are needed. Any and all donations are greatly appreciated!!! Thank you.